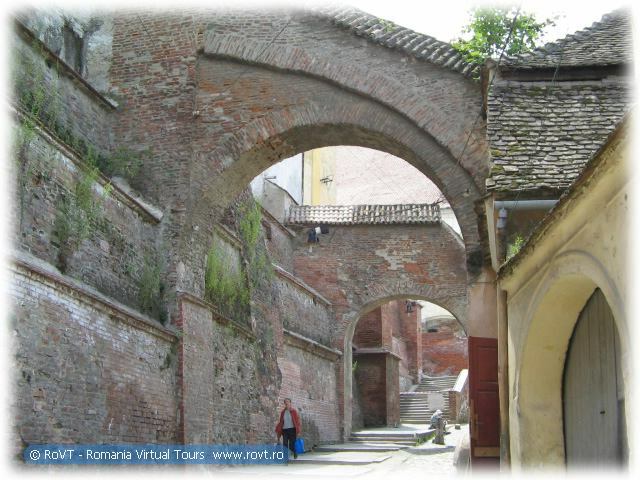 The Passageway of the Stairs - links the Upper Town and the Lower Town through two archway and stair ramifications which surround the Fortress walls around the Evangelic Church. Although the passageway was built in the 13 th century, it still looks the same as it did 600 years ago. The Stair Tower, the oldest building in Sibiu still standing, built in the 13 th century, is where the southern wing ends in the Upper Town.